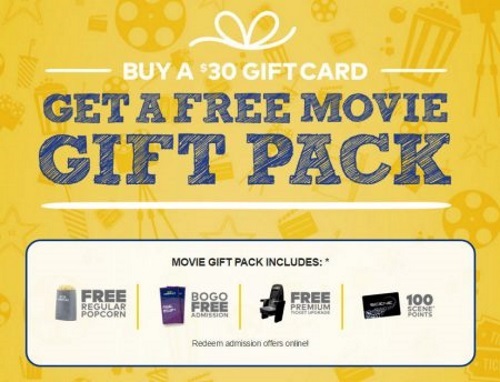 Cineplex's Movie Gift Pack offer is back! When you spend $30 or more on gift cards you'll get a Free Movie Gift Pack with the items listed below! Offer is valid April 20-June 30, 2016.